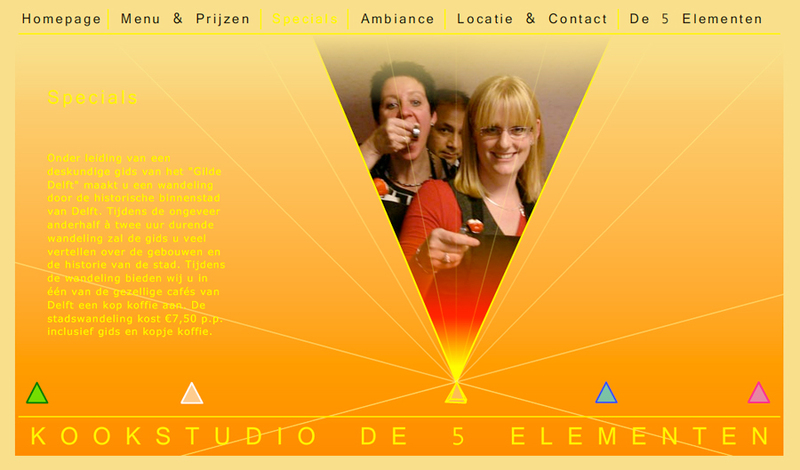 During my freelance period cooking studio The Five Elements asked me to create their website. 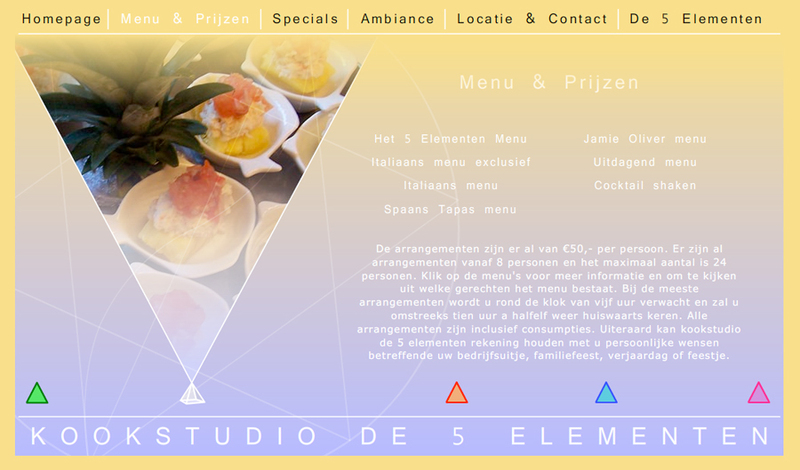 In the Netherlands there many cooking studio’s, so I wanted this website to stand out from the rest. 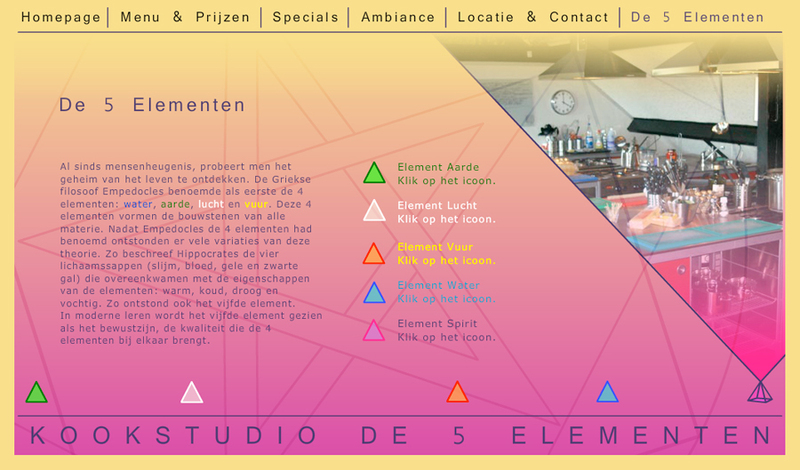 The name The Five Elements gave me a good starting point to let my creativity run free. 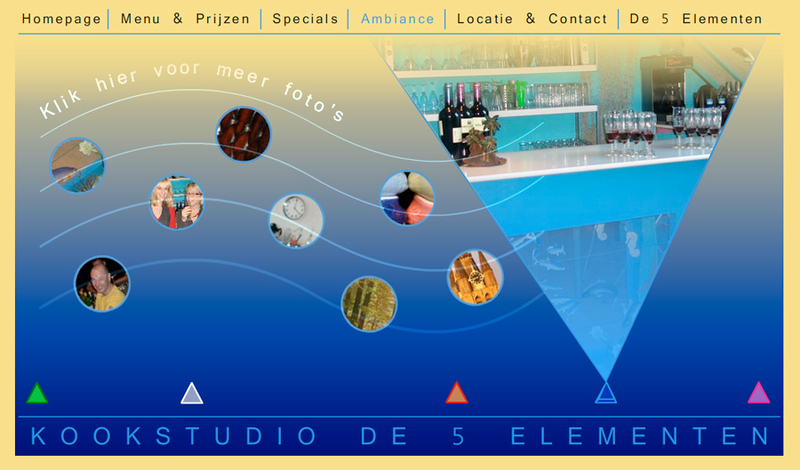 In those times most websites were very basic html, using Flash I could create a very good looking website with nice transitions between pages. This cooking studio is beautifully decorated and used the five elements Earth, Air, Fire, Water and Spirit in its interior design. 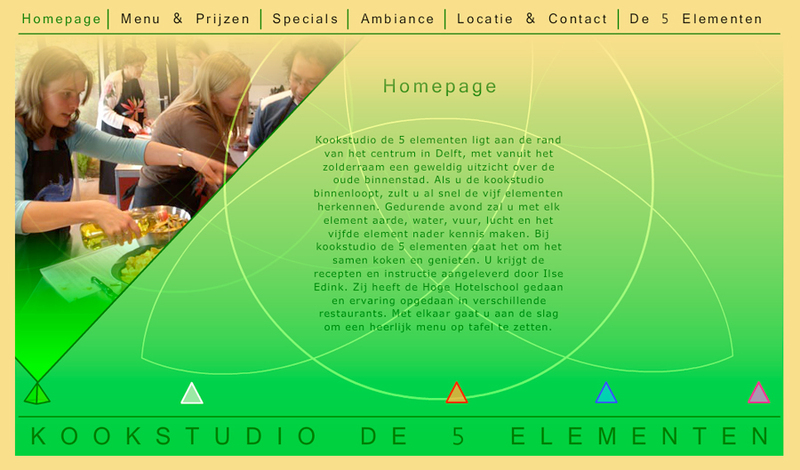 I wanted to create the website in the same manner, this tab for instance is inspired by the element Air.